Department of Urban Design, Amsterdam Municipality, Aldo van Eyckâ€™s office, citizens. 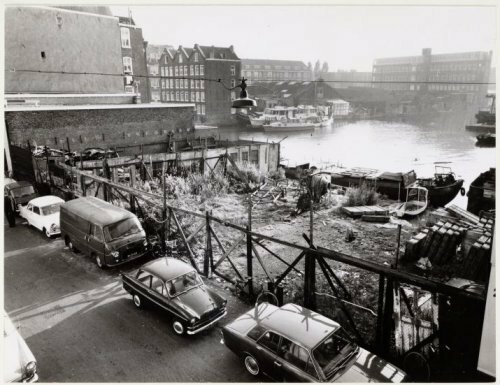 After the Second World War Dutch cities faced many challenges including lack of housing, the need to develop inner city areas and a baby boom. At the time, as a result of previous urban functionalist tendency, there were no space available for children and the existing playgrounds were mainly of a private nature. 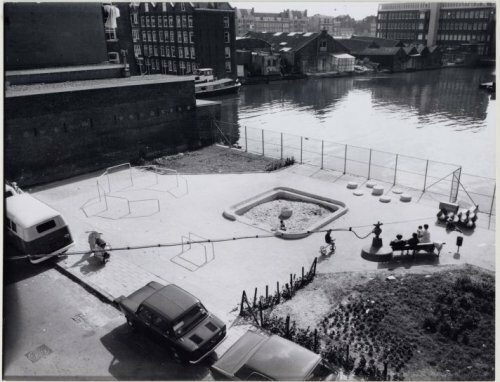 Van Eyck designed hundreds of playgrounds using temporary unused empty lots as a tactical solution to give neighbourhoods their own playground. He designed equipment in a modular, participative and minimalistic way to facilitate its construction and develop childrenâ€™s imagination and interaction with the space. To focus on how space could be appropriated by citizens and architecture to facilitate human activity and promote social interaction. 700 playgrounds were built. Nowadays only 90 survived with their original layout. Playgrounds were an opportunity to test ideas on architecture, imagination and social interaction. It functioned as a cultural critique and it has a huge influence in the practice of urban design.